Can Too Much Extreme Exercise Damage Your Heart? Exercise is good for you, but some extreme athletes can push past healthy limits. A research paper showed that some endurance athletes who exercised at very high intensity over long periods of time have higher rates of heart problems than people who exercise more moderately. This new analysis of existing studies found that chronic extreme exercise training and competing in endurance events can lead to heart damage and rhythm disorders. People with genetic risk factors are especially vulnerable. That doesn’t mean you should put away the walking shoes, though. Moderate exercise is still the best prescription for good physical and mental health – and competitive athletes shouldn’t give up their training schedule just yet. Unlike weekend warriors, brisk walkers or even enthusiastic joggers, extreme athletes regularly live up to their name, pushing the limits of their physical capabilities. They run 50 miles or more or repeat marathons in rapid succession, regularly pushing past exhaustion, dehydration and pain that would sideline or hospitalize many people. [Tweet “#Exercise is good for your #heart, but #extremeathletes can push past healthy limits”]All extreme athletes share a steely determination. However, this paper asks, can too much of that determination and grit hurt your heart? The analysis at the Mid America Heart Institute looked at the relative heart health of extreme athletes as compared with that of others who exercised regularly, but with less intensity and frequency. In addition to the Mid America study findings, research published in the European Heart Journal found evidence that elite cross country skiers increased their risk for heart arrhythmias when they skied longer and faster. The overall findings suggest that repeated grueling workouts stress the heart muscle — not just the skeletal muscles — and that chronic damage can lead to heart troubles. Extreme, long-term endurance exercise puts equally extreme demands on the cardiovascular system. 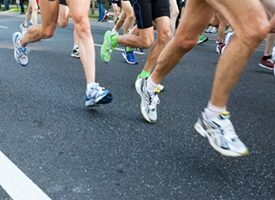 Experts found that after finishing extreme running events, athletes’ blood samples contain biomarkers associated with heart damage. These ‘damage indicators’ usually go away by themselves, but when the heart endures extreme physical stress over and over, the “temporary” damage may lead to so called “remodeling” of the heart or physical changes such as thicker heart walls and scarring of the heart. This can also increase the risk of heart rhythm disorders, particularly for the minority who have underlying cardiac problems such as hypertrophic cardiomyopathy or coronary heart disease. Dermot Phelan, MD,PhD, Director, Sports Cardiology Center at Cleveland Clinic, did not participate in the analysis, but reviewed it and states that care should be taken in interpreting these results. Proven benefits of regular exercise include lower blood pressure, increased strength, diabetes reduction risk and better mental health. Experts agree that whether you are a sports enthusiast, a beginner, a senior or someone beginning cardiac rehab, physical activity is good for you. For the general public, The American Heart Association recommends a minimum of 150 minutes of moderate physical activity per week. Moderate exercise includes activities such as walking, jogging or swimming. In general, moderate activities should leave you free to carry on a conversation while you are active. If you have symptoms, a history of a heart condition or risk factors for heart disease, check with your doctor before starting or changing an exercise regimen. For those who are athletes and have new symptoms or a diagnosis of heart disease, or those who may be concerned about continuing competition or endurance sports, you should be evaluated by a sports cardiologist. Have You Heard of These 5 Heart Attack Risk Factors?